When I returned home to Greece last fall to make a film about the refugee crisis, I discovered a situation I had never imagined possible. The turquoise sea that surrounds the beautiful Greek island of Lesbos, just 4.1 miles from the Turkish coast, is these days a deadly gantlet, choked with terrified adults and small children on flimsy, dangerous boats. I had never seen people escaping war before, and neither had the island’s residents. I couldn’t believe there was no support for these families to safely escape whatever conflict had caused them to flee. Regardless of the hardship Greeks have endured from the financial crisis, for a long time my home country has by and large been a peaceful, safe and easy place to live. But now Greece is facing a new crisis, one that threatens to undo years of stability, as we struggle to absorb the thousands of desperate migrants who pour across our borders every day. A peak of nearly 5,000 entered Greece each day last year, mainly fleeing conflicts in the Middle East. The Greek Coast Guard, especially when I was there, has been completely unprepared to deal with the constant flow of rescues necessary to save refugees from drowning as they attempt to cross to Europe from Turkey. When I was there filming, Lesbos had about 40 local coast guard officers, who before the refugee crisis generally spent their time conducting routine border patrols. Most didn’t have CPR training. Their vessels didn’t have thermal cameras or any equipment necessary for tremendous emergencies. Suddenly, the crew was charged with keeping the small bit of water they patrolled from becoming a mass grave. Each day, thousands of refugees crossed the water on tiny, dangerous inflatable rafts. Most of the passengers, sometimes including whoever was operating the boat, had never seen the sea. Often a motor would stall and passengers would be stranded for hours, floating tenuously on a cold, volatile sea. Or the bottom of a dinghy would simply tear away and all the passengers would be cast into the water. The coast guard felt completely abandoned, they told me, as if the world had left them to handle a huge humanitarian crisis — or allow thousands to drown offshore. I followed a coast guard captain for three weeks as he pulled family after family, child after child, from the ocean and saved their lives. All the ones in this film were shot on a single day, October 28, 2015. Two additional rescues happened that same day but were not included. The problem is far from over. Many of the refugees come from Syria, where Russia is intensifying bombings that are killing thousands of civilians and devastating Syrian cities. The United States is planning to respond. According to the Greek Coast Guard, thousands of families with children are lining up along Turkish shores to make the unsafe crossing to Greece. In making this film, I was struck by the fine lines that separate us, the moments when our paths cross fleetingly, and we look at one another for the first time and sometimes for the last. This film shows that crucial moment between life and death, where regardless of political beliefs, fears or preparation, some people will go beyond themselves to save a stranger. And it raises questions about our collective responsibility — the choices we all make for ourselves, and for others. We don’t all confront the refugee crisis with the same immediacy as the coast guard captain portrayed here. But as our world becomes more interconnected, and more violent, we do all face a choice — would we act as he does, to save the life of stranger? Or would we turn away? 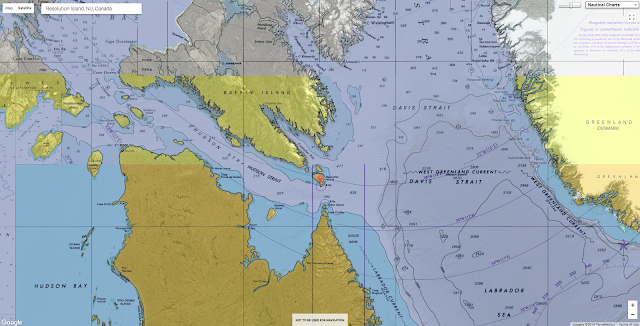 The high cost of exploration in subarctic, often uncharted, waters was demonstrated in an unorthodox but convincing way by the 1974 grounding and sinking of the MV Minna off Resolution Island [Canada] while conducting a combined hydrographic-geophysical survey in the northern Labrador Sea. Minna aground at the left of photo, and the large panel radar arrays on the mountain top — in Resolution Island (Nunavut). Minna was an 83.6m long (274ft), ice-strengthened freighter built in 1960 at Arendel, Norway, as MV Varla Dan and subsequently sold to the Karlsen Shipping Company of Halifax who changed her name. Bedford Institute of Oceanography (BIO) in Dartmouth, Nova Scotia, Canada, chartered her in 1972, 1973, and 1974 for deep-sea hydrographic and geophysical surveys in the Labrador Sea. Given that she was only carrying survey equipment, 300 tons of concrete ballast, and was light on fuel, her displacement at the time of the grounding would have been about 3000 tons. Austron 5000 LORAN-C receiver (with visor over the oscilloscope), PDP-8 computer, and paper tape reader. Two range DECCA-LAMBDA 12-f, with Master transmitter on the Minna. The slave stations were on Spotted Island east of Cartwright, Labrador, and on Resolution Island. Rho-rho LORAN-C, which used an Austrom 5000 LORAN-C receiver and an atomic clock to predict the instant of transmission from the LORAN-C stations at Cape Race, Newfoundland, and from Angissoq, Greenland. A Marconi Doppler satellite receiver to establish a position every few hours to verify the DECCA ‘lane count’ and to determine the clock rate (microseconds/day) of the atomic clock on the Minna versus the ones at Cape Race and Angissoq. Doppler satellite positioning needed accurate ship’s velocity during the 20 minutes of the satellite passing overhead, which was provided by DECCA and/or LORAN-C. The geophysical survey equipment included a magnetometer, three marine gravity meters, and one land gravity meter. Two sizes of air guns and a 100-foot (30m) towed streamer with acoustic microphones connected to receivers were used for collecting seismic reflection data. Most of this equipment was in a purpose-built unit designed and built at Bedford Institute and lowered into #2 Hold, which became the ‘survey office’. MV Minna hard aground at high tide — in Resolution Island (Nunavut). The Minna visited Godthåb (now Nuuk), Greenland, for engine repairs and to verify the marine gravimeters against land-based gravity readings. Departing Godthåb on 16 August, she ran a line of soundings towards Saglek, Labrador, then, at 08:00 on 18 August 1974, she entered Brewer Bay near the Northeast corner of Resolution Island to pick up electronic technicians who had installed a DECCA Slave transmitter on the island and then to establish the lane count. The wind was from the Southeast to South-Southeast at Force 4 creating a swell of 1.3m. The navigable portion of Brewer Bay is about 240 metres wide by 600 metres with a maximum depth of 22 fathoms (40m). The bay is surrounded by high hills providing little shelter and it experiences heavy ground swell and a circular tidal stream when near high water. A landing beach is located in a cove on the south shore of the bay where supplies are landed annually and temporarily stored for the radar station on Cape Warwick just north of the bay. CCGS Griffon maneuvering to attempt to pull MV Minna off the rock. Because Minna had a single propeller and no bow thruster, her normal turning radius was large. The ship was riding high due to low fuel and light load and was adversely affected by the SE wind causing her to have an even larger turning radius. Accordingly, she went outside of the surveyed area while turning. Because of forward motion and being blown sideways, she grounded on a rock pinnacle at 09:34. At the time of grounding, the tide was dropping but still 3.1m above datum. A sounding by lead line on the ship’s starboard (seaward) side, just aft of where the pinnacle pierced the ship’s outer hull, found no bottom; however, the ship’s sounder showed a depth of 25 fathoms. Having assessed the situation, the captain ordered full astern at 11:00 (height of tide now 1.8m above datum), but the stern of the ship merely turned to port, thus coming closer to being parallel to the cliff, and failed to come off the pinnacle. To return the ship to the original heading, the captain ordered full port rudder and went forward, driving the ship farther onto the rock. By 13:00, CCGS Griffon, a buoy tender & light icebreaker, was proceeding to Brewer Bay to provide assistance. At 19:30 (height of tide 5.5m above datum) and again at 20:20 (height of tide now 4.8m) the Griffon tried to pull while the Minna applied full reverse, but at both times the lines parted. On the second attempt, the broken end of the hawser fouled Minna’s propeller, thereby reducing later attempts by the Griffon acting alone. The Griffon tried a third time at 21:15. Only at 21:30, did the crew begin lifting some of the concrete blocks from #1 Hold. Around 23:00, it was reported in the deck log that #2 Hold was dry but #1 Hold was flooded – an indication that the ship was becoming more damaged. The removal of cement blocks ceased at 06:00 on 19 August owing to water rising in #1 Hold, so the hatch was covered and the booms lowered. Three more times Griffon attempted to pull Minna off the rocks; all attempts failed. The heavy sea and swell and the wind from the Southeast (i.e., directly from the open ocean) caused the ship to keep striking heavily on the rocks. At 13:00, they attempted to take the hatch-cover off #2 Hold to hoist the survey equipment from the Hold, but the hinges gave out, negating that course of action – another indication that the ship was breaking apart. The crew and the BIO staff were transferred to shore and were not particularly welcome guests at the radar site, at least until some of the ship’s provisions (especially the duty-free alcohol) were brought up from the landing beach. Between 18 and 20 August, the BIO staff returned to the ship during periods of high tide and man-handled all the moveable equipment through the ship, up the gangways, onto the deck, and then lowered it down into the BIO barge for transfer to shore. Nine personnel were flown to Frobisher Bay (now Iqaluit) by chartered aircraft on 20 August and to Halifax by commercial airlines the next day. CCGS Norman McLeod Rogers (buoy tender/light icebreaker) arrived to take nine of the ship’s personnel to Frobisher Bay on 21 August to get flights to Halifax. The scientific equipment, which had been removed from the ship, was stored in a shed near the beach. Fortunately a squadron from the Royal Canadian Navy was exiting Hudson Strait and was called upon for assistance. HMCS Assiniboine and Saguenay [destroyers] arrived on 22 August and HMCS Preserver [supply ship] on 23 August, but the squadron commander was not going to risk his ships going into such a small bay. Nevertheless, the Navy retrieved the off-loaded equipment by sea-boat or Sikorsky Sea King helicopters to the Preserver and ultimately returned it to Bedford Institute. Three of the survey staff went to Newfoundland on the naval ships. The chief scientist and nine others stayed to dismantle the DECCA Slave station and on 26 August flew to Halifax via Frobisher Bay. On 19 September 1974, CSS Baffin [hydrographic ship] retrieved the DECCA equipment from the shore and more of the equipment from the Minna. A Norwegian ocean-going tug arrived before 5 September, but waited until the next Spring High Tide on 15 September but the tug was not successful in freeing her. On September 19, the Karlsen Shipping Company and its insurers declared the ship abandoned as no salvage company was interested in rescuing her. The yearly sealift of goods to the Northern Warning System station on Cape Warwick reported in June 1998 that the wreck of the Minna had slipped into deeper water because of ice action. A Notice to Mariners was immediately issued instructing mariners to add a dangerous wreck symbol to the 1963 Edition of CHS chart 5430 and on its inset of Brewer Bay, at 61° 34′ 56.0ʺN, 64° 38′ 23.0ʺW (local datum). Also, a multibeam hydrographic survey with full bottom coverage positioned by GPS was carried out late that summer. 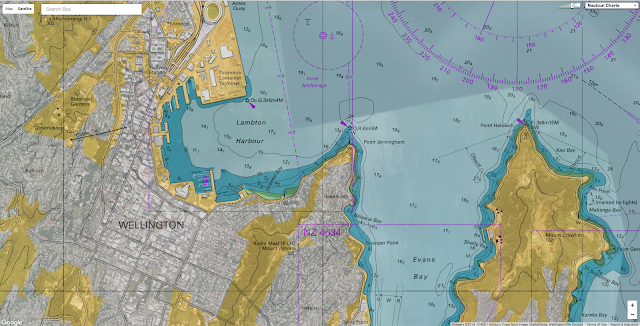 The 2005 New Edition of the chart incorporates the 1998 survey both on the main chart (for the approaches to Brewer Bay) and for the entire inset of Brewer Bay. The main chart shows the more normal wreck symbol whereas the inset uses the wreck symbol appropriate for large-scale charts near the north shore of the bay at 61° 35′ 17.5ʺN, 64° 37′ 53.5ʺW (NAD-83) with the bow facing northwest and drying (i.e., visible) at low tide. Figure 1: The inset of Brewer Bay on CHS Chart 5340 (Approaches to Sorry Harbour) showing Minna at 61° 35′ 17.5ʺN, 64° 37′ 53.5ʺW. Soundings are in fathoms and feet, heights above chart datum (low water) are underlined and are in feet. The 1963 Edition of Chart 5340 was based on a 1952-3 US Navy survey, where its geographic grid was based on an astronomically determined survey point. The topography on the chart was from aerial photography taken about the same time. A New Edition of the chart was required to incorporate the 1998 CHS survey and so the chart was converted to NAD-83 so that it would be compatible with GPS positioning. The shift in the geographic grid accounts for most of the 795 metres between the two positions quoted above. The magnitude of this shift is typical for charts that are based on exploratory quality astronomic positions. Figure 4: Air photo taken 18 August 1976 showing Minna lying on her starboard side, bow to the southwest, stern to the northeast. Image courtesy: National Air Photo Library, Roll A24530, Frame 9. Air photos taken in 1976 show the Minna lying on her starboard side, bow to the southwest and stern to the northeast. In the 1987 air photos, the ship is not visible above water, but the water tones suggest that the ship is submerged at its 1976 position, although the orientation may be reversed. In the 1993 air photos, the ship is not visible, although there may be something in the water at the 1976 position. Google Earth, which uses a July 2006 satellite imagery, shows shallow water at the wreck’s charted location. These series of photographs pose two questions. Was the ship moving or rotating between these various epochs? 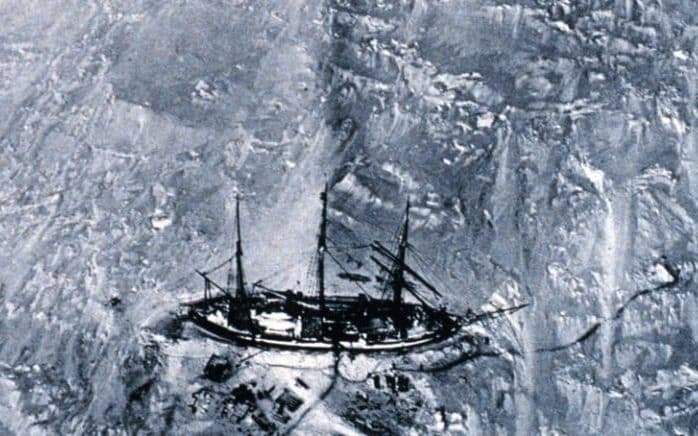 Was the ship being naturally reduced to rubble by the action of wind, waves and ice? Perhaps the apparent movement in the air photos and the situation as found in the 1998 survey, are the reasons for the Sailing Directions’ caution note and the continuance of the ‘Position Approximate’ on the inset of the chart. 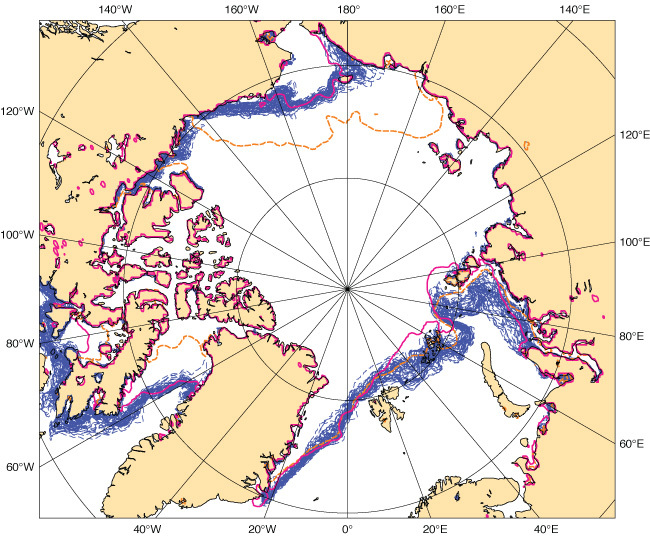 Given modern capabilities of 100% bottom coverage and remotely controlled underwater vehicles, it would be interesting to evaluate the damage done by sea-ice on the hull of the Minna after 40-plus years. 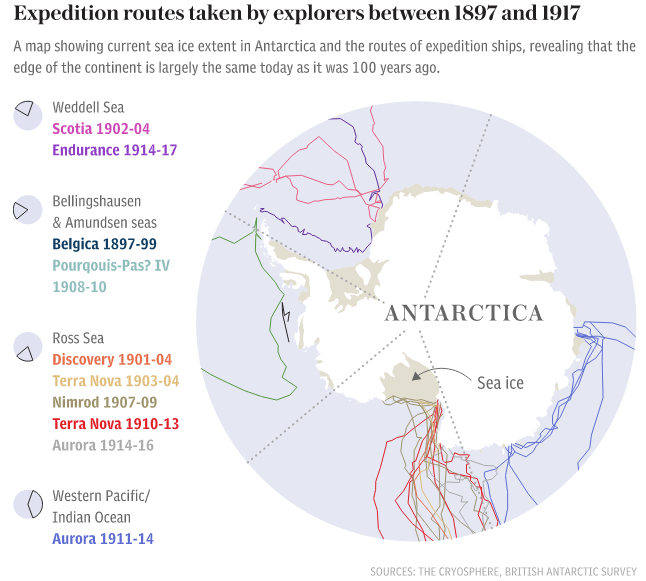 Antarctic sea ice had barely changed from where it was 100 years ago, scientists have discovered, after poring over the logbooks of great polar explorers such as Robert Falcon Scott and Ernest Shackleton. 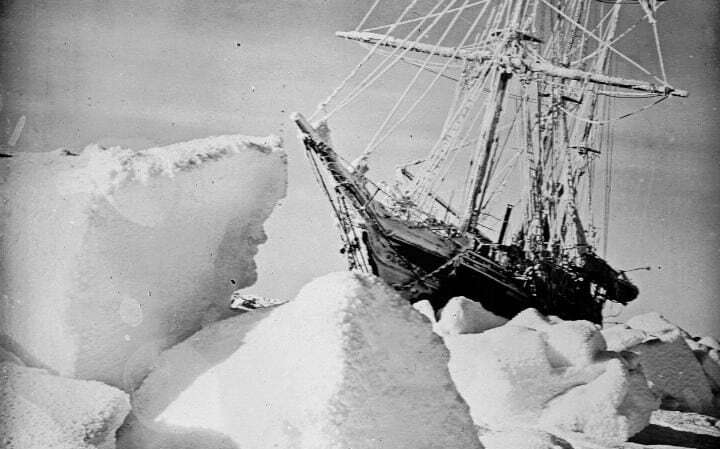 "The missions of Scott and Shackleton are remembered in history as heroic failures, yet the data collected by these and other explorers could profoundly change the way we view the ebb and flow of Antarctic sea ice,” said Dr Jonathan Day, who led the study, which was published in the journal The Cryosphere. 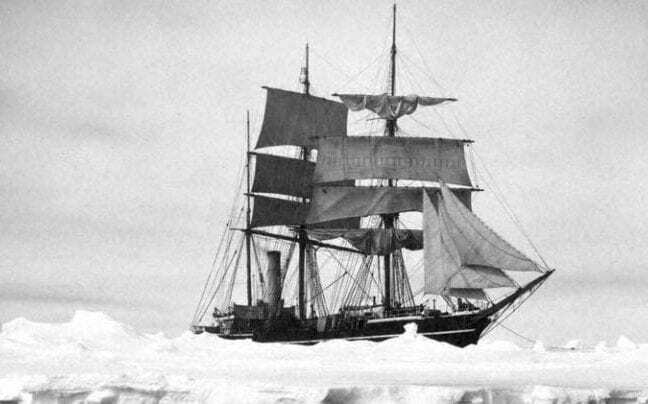 The study was based on the ice observations recorded in the logbooks from 11 voyages between 1897 and 1917, including three expeditions led by Captain Scott, two by Shackleton, as well as sea-ice records from Belgian, German and French missions. 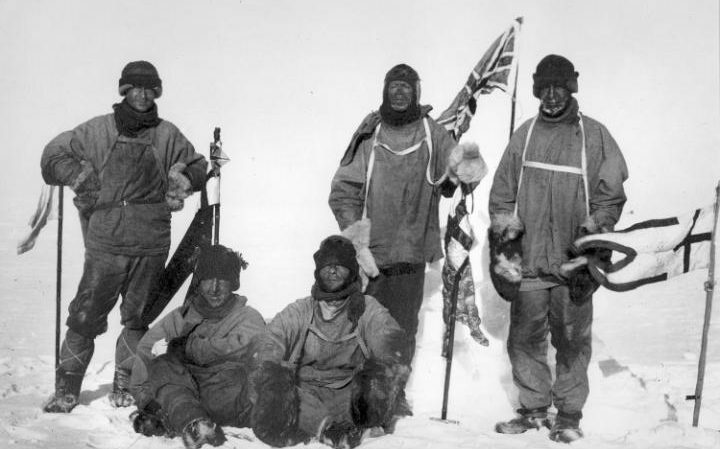 Captain Scott died along with his team in 1912 after losing to Norwegian Roald Amundsen in the race to the South Pole, while Shackleton's ship sank after becoming trapped in ice in 1915 as he and his crew attempted the first land crossing of Antarctica. Estimates suggest Antarctic sea ice extent was significantly higher during the 1950s, before a steep decline returned it to around 3.7 million miles (6 million square kilometres) in recent decades which is just 14 per cent smaller than at the highest point of the 1900s and 12 per cent bigger than than the lowest point. The findings demonstrate that the climate of Antarctica fluctuated significantly throughout the 20th century and indicates that sea ice in the Antarctic is much less sensitive to the effects of climate change than that of the Arctic, which has experienced a dramatic decline during the 20th century. In future the team plans to use data from naval and whaling ships as well as the logs from Amundsen’s expeditions to complete the picture. Separate research by the British Antarctic Survey also showed that the present day loss of the Pine Island Glacier on the West Antarctic Ice Sheet has been happening since the mid 20th century and was probably caused by El Nino activity rather than global warming. Pine Island Glacier, which drains into the Amundsen Sea in West Antarctica, is retreating and thinning rapidly, but the initial triggering mechanism was unclear. The team looked a sediment cores in the area which showed that an ocean cavity under the ice shelf began to form around 1945, following a pulse of warmth associated with El Niño events in the tropical Pacific Ocean. “We are very excited about this new finding as it provides the first direct evidence of the timing of glacier retreat even before we had satellites to measure them,” said lead author, marine geologist Dr James Smith from British Antarctic Survey. Co-author Professor Bob Bindschadler of NASA added: “A significant implication of our findings is that once an ice sheet retreat is set in motion it can continue for decades, even if what started gets no worse. The Pine Island research was published in Nature. 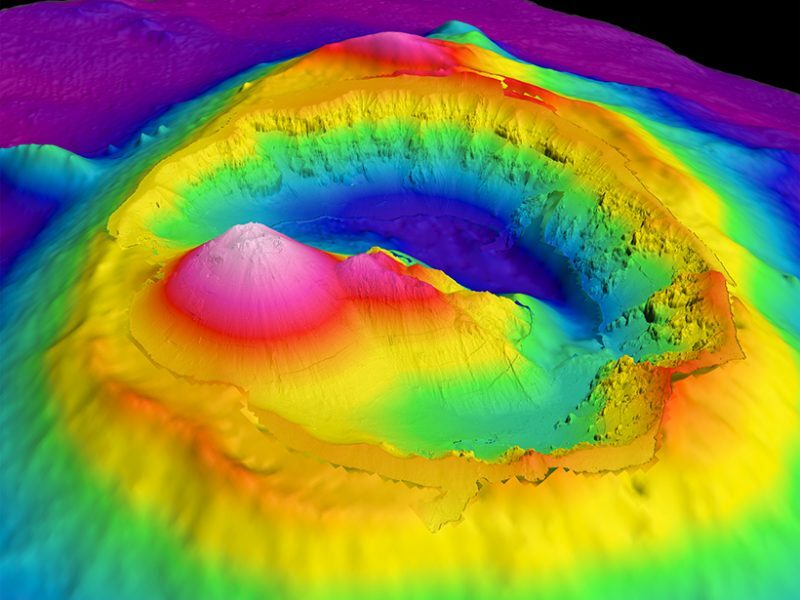 Bathymetry image of Brothers Seamount and caldera, an undersea volcano about 3 kilometers in diameter off the coast of New Zealand. Autonomous underwater vehicles acquired high-resolution (2-meter) bathymetry data inside the caldera. 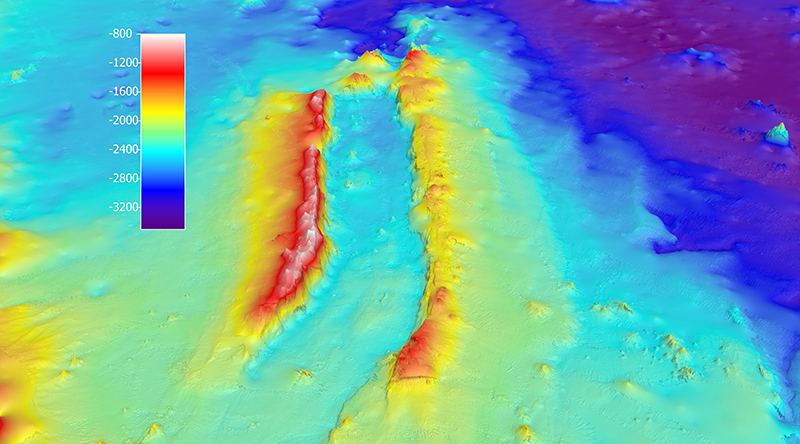 Surface ships mapped the lower-resolution (25- to 30-meter) bathymetry data on the surrounding volcano flanks. This feature was formally named using tools provided by the General Bathymetric Chart of the Oceans (GEBCO). The Izu-Ogasawara Trench, a deep-sea trench south of Japan, was discovered in 1933 and named after the nearby Ogasawara Islands. However, the Ogasawara Islands have also been called the Bonin Islands: They are the type locality for the volcanic rock boninite [Crawford, 1989]. Newly discovered undersea features are often given informal names that over a period of years, with repeated use, become incorporated into maps and scientific papers. Historically, this has sometimes led to confusion and misidentification. Occasionally, one name has been used for several different features, or a single feature has been named independently by different groups, resulting in several different informal names. One might think that with the rise of global communications and data-sharing networks, this problem might resolve itself. However, new ocean exploration technologies are exacerbating this old problem by adding to the inflow of new information. An increasing number of ships now routinely survey our oceans, and we are learning more about the seafloor and its features. The rapid developments in multibeam sonar technology and the deployment of these instruments on remotely operated vehicles (ROV) and autonomous underwater vehicles (AUV) mean that some features only tens of meters in relief are now being mapped and named. 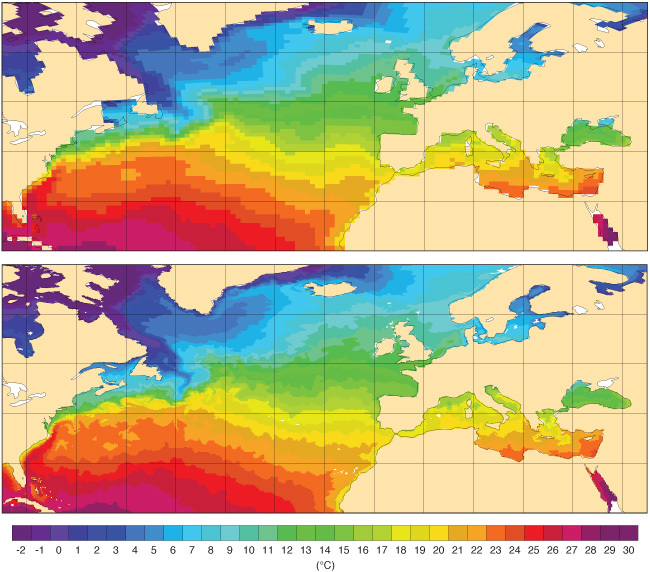 To ensure that these features’ names don’t get renamed on subsequent cruises, scientists turn to a reliable tool: the General Bathymetric Chart of the Oceans (GEBCO) Gazetteer online interactive map. This map is supplemented with other online resources, including naming guidelines, links to proposal forms, and a glossary. GEBCO’s Sub-Committee on Undersea Feature Names (SCUFN) is also developing new Web applications to facilitate collaboration and coordination for naming undersea features within the world’s oceans. These future applications, plus the new Web supplemental resources, will assist users in completing name proposals and should help speed up the review and approval process. GEBCO, an international group of experts in ocean surveying and mapping, established SCUFN in 1975 when the need became apparent for a uniform policy for the handling and standardization of undersea feature names. GEBCO’s aim is to provide the most authoritative publicly available bathymetry of the world’s oceans, including undersea feature names.SCUFN reviews name proposals for undersea features that lie entirely or mainly (more than 50%) outside the external limits of territorial waters. The subcommittee comprises a multinational group of hydrographers and Earth scientists. SCUFN is supported by a secretariat based at the International Hydrographic Organization in Monaco, which coordinates its activities and maintains the GEBCO Undersea Feature Names Gazetteer. This gazetteer contains a list of more than 3800 named features throughout the oceans. 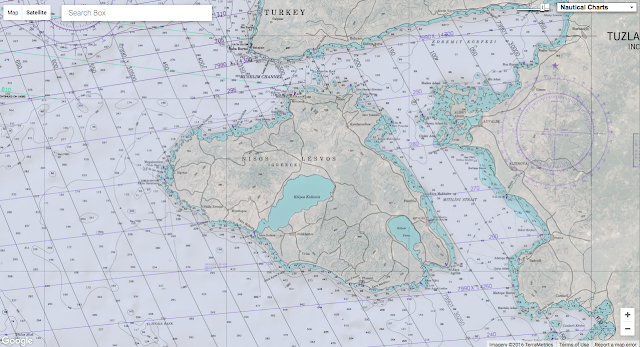 Several national naming authorities and geographic naming boards also maintain separate gazetteers that include names of undersea features outside territorial waters, and SCUFN endeavors to harmonize the GEBCO Gazetteer with these names. The gazetteer enables users to search and view features quickly. It also provides further metainformation (where it is available) about feature dimensions, the discoverer, and the origin of the name. Proposers of new undersea feature names or journal reviewers can use this resource to ensure that names are not duplicated or features are not already named. 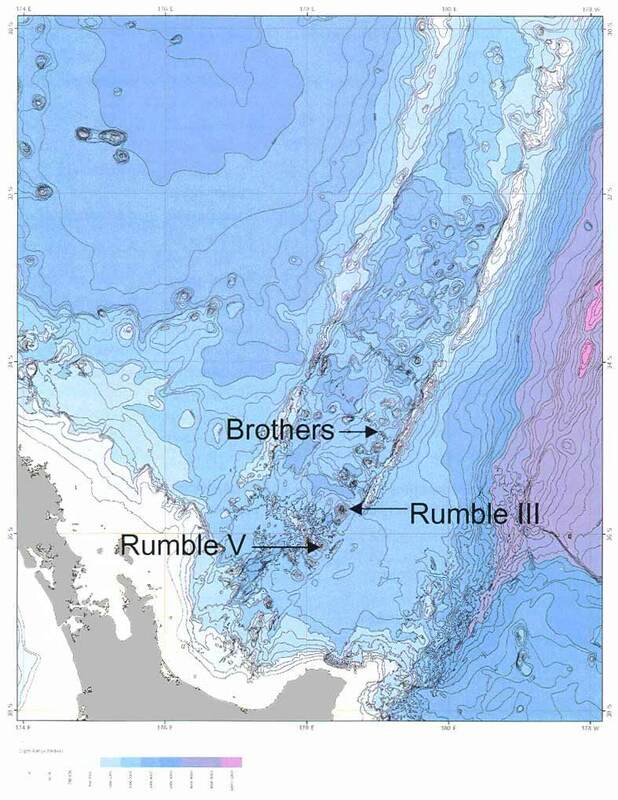 This image shows over 14,000 large seamounts identified from a mid-resolution bathymetric map, using methods outlined in Kitchingman and Lai (2005). 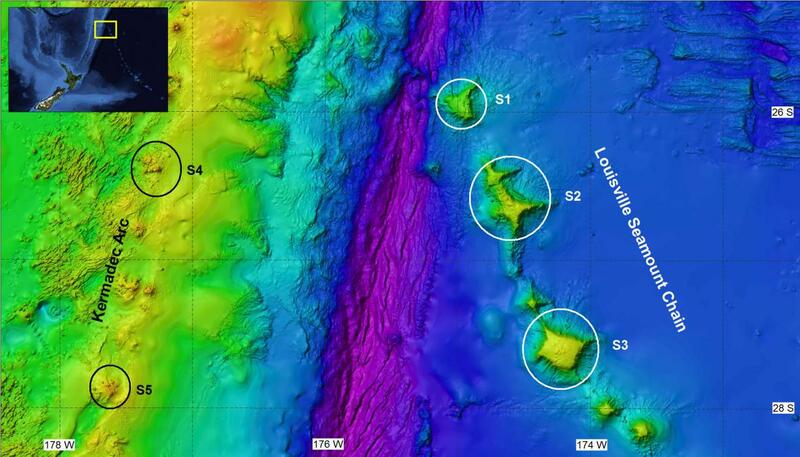 There are more small seamounts, but their distribution should be roughly similar to that shown here. People who want to propose names for new features should use the GEBCO undersea feature names website. This site describes the role of SCUFN and has useful links to proposal forms, naming guidelines, and meeting reports. The SCUFN guidelines for naming features are given in the “Standardization of Undersea Feature Names,” International Hydrographic Organization Publication B-6, which is available in six languages. This publication includes information about proposals along with examples of supporting documentation, including maps and images depicting the features. Undersea feature names have two parts: a specific term and a generic term. The specific term should primarily relate to nearby onshore or offshore features, the discovery ship, or an eminent maritime figure, explorer, or scientific researcher. Other specific terms may be given to recognize cultural icons or traditions. The generic term relates to the geometrical form of the feature (escarpment, seamount, trench, etc.) or, in special cases, the genesis of the feature. SCUFN regularly reviews generic terms, adding new terms as they become established in scientific usage and abandoning older terms that have fallen out of use. For example, the Adare Trough, located in the Ross Sea off the coast of Oates Land, Antarctica, is a flat-bottomed depression with symmetrical, parallel sides that is more than 100 kilometers long. The specific term “Adare” is from the nearby Cape Adare, and the generic term “trough” describes the morphology of the feature. The Adare Trough, located in the Ross Sea off the coast of Oates Land, Antarctica, has the specific name “Adare” that refers to the nearby Cape Adare and the generic name “trough” that describes the morphology of the feature. The color scale gives the elevation in meters. Several features in the GEBCO gazetteer have generic terms that are no longer recommended but are maintained to harmonize names with other gazetteers. Definitions for generic terms, including example images of feature types, are now readily available on a new website. This resource allows those proposing new undersea feature names to identify the correct generic term for the features they find. Currently, proposals are emailed directly to the SCUFN secretariat (info@iho.int), where they are uploaded onto a Web application and shared with subcommittee members for review. Final approval of proposed names is made at the annual SCUFN plenary meeting. SCUFN members consider proposals in the chronological order of submission: Late proposals will be considered last if there is sufficient time at the plenary meeting. For each of the past 5 years, SCUFN has reviewed between 70 and 200 names. In 2016, the subcommittee reviewed 206 feature names, and 144 of these will be added to the GEBCO Gazetteer. How can we use these spatial data to protect marine environments? These are some of the questions highlighted in this story map. We plan to enable users to submit undersea feature name proposals to SCUFN via a new Web application using an online form or by uploading a completed proposal document with accompanying images. SCUFN members can then immediately access these submissions to assess feature names and share comments about each proposal. In this way, the new interface will help speed up SCUFN review and approval processes. We expect to unveil this new Web tool in 2017. The online submission tool will include a facility for submitting geographic information system files (GIS shapefiles) that can be used to help evaluate the proposal and can be incorporated into the Web map application. Until that tool launches, we encourage users of undersea feature names in scientific literature and on bathymetric maps to access the current iteration of the gazetteer as well as resources connecting them to generic feature terms and naming guidelines. Once proposals become more streamlined, we will be well positioned to meet our goal: to increase the number of feature names in the GEBCO Gazetteer and to make them readily available to the scientific community for publications and Web map services. Further cementing President Barack Obama’s climate legacy, the Department of the Interior announced on Friday its intent to ban oil drilling in the U.S. section of the Arctic Ocean for the next five years, citing environmental risks. Arctic sea ice has not only been shrinking in surface area in recent years, it’s becoming younger and thinner as well. In this animation, where the ice cover almost looks gelatinous as it pulses through the seasons, cryospheric scientist Dr. Walt Meier of NASA Goddard Space Flight Center describes how the sea ice has undergone fundamental changes during the era of satellite measurements.This visualization incorrectly identifies the oldest ice as being 5+ years old, when it would be more accurate to say 4+ years old. The plan blocks the sale of new offshore oil and gas leases in the Beaufort and Chukchi seas, north of Alaska, between 2017 and 2022. “The plan focuses lease sales in the best places ― those with the highest resource potential, lowest conflict, and established infrastructure ― and removes regions that are simply not right to lease,” Secretary of the Interior Sally Jewell said in a statement. The Obama administration’s proposed five-year program for oil and gas had included 13 potential lease sales — 10 in the Gulf of Mexico and one each in Alaska’s Cook Inlet, Beaufort Sea and Chukchi Sea. In March, the White House abandoned plans to include the Atlantic Coast in the upcoming sale. The Interior Department’s final plan, which limits drilling during the five-year period to the Gulf of Mexico and Cook Inlet, is being met with mixed reactions from environmental groups calling on Obama to use his executive power to permanently protect the fragile Arctic. The plan is a “significant win for Arctic and Alaskan communities and a strong step towards addressing climate change” but continues to leave the Gulf of Mexico at risk, San Francisco-based nongovernmental organization Rainforest Action Network told The Huffington Post in a statement. “This move locks the Gulf into another five years of corporate giveaways ― with decades more of climate pollution, offshore oil spills, devastation to fisheries, and health impacts to local communities,” RAN Executive Director Lindsey Allen said. Carter Roberts, president and CEO of the World Wildlife Fund, applauded the announcement, saying there’s no proven technology to safely drill in the Arctic, and no way to clean up oil if it were to spill in frozen waters. He added that he hopes more permanent protection would follow. Earlier this week, NextGen Climate urged Obama to use his executive authority to permanently protect the Arctic and Atlantic Oceans from such drilling, noting the “dangerous agenda” of President-elect Donald Trump. Such presidential executive action would be separate from the leasing program. Unsurprisingly, the oil and gas industry is disappointed by the announcement. “Our national energy security depends on our ability to produce oil and natural gas here in the U.S., and this decision could very well increase the cost of energy for American consumers and close the door on creating new jobs and new investments for years,” API President and CEO Jack Gerard said. The proposed expansion of oil and gas drilling in the Arctic and Gulf would result in climate-related social costs between $58.6 and $179.2 billion, according to a Greenpeace report released in June ― enough to potentially outweigh the economic benefits of selling the energy. The plan still requires Jewell’s final approval, and would take effect July 1, 2017. As he has promised to do with so many of Obama’s previous actions aimed at combatting climate change, Trump will likely try to do away with Arctic drilling ban. Trump pledged in May to pull the U.S. out of the historic Paris climate agreement. He has also said he would cut all federal spending for climate change research, cleaner technologies and aid for communities already threatened by climate impacts. For guidance, he has turned to climate change denier Myron Ebell and fossil fuel lobbyist Mike McKenna to help with transition work at the Environmental Protection Agency and Department of Energy. Furthermore, Trump has said he would increase America’s production of coal, oil and natural gas, as well as do away with Obama administration regulations aimed at cutting emissions. Global security leaders have warned Trump that failing to fight climate change could prove disastrous to national security, leading to increased risks of violent conflict and economic instability. Retired Maj. Gen. Paul Eaton, managing director of the Vet Voice Foundation, applauded Obama’s decision as a win for national security. “Encouraging oil and gas development in the Arctic would compromise our national security by placing additional demands on our military and undermine one of the globe’s most pressing national security concerns ― climate change,” he said in a statement to HuffPost. Christian Science : Obama bans Arctic drilling. Will Trump let it stand? 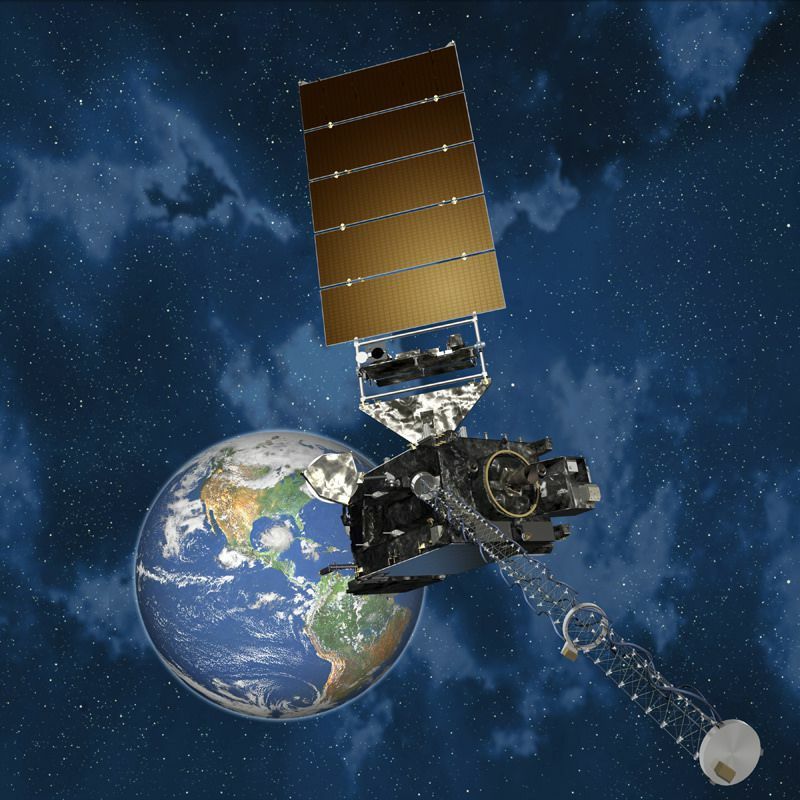 The GOES-R series, NOAA's next-generation geostationary weather satellites, is a game changer. These satellites, beginning with the launch of GOES-R, will provide continuous imagery and atmospheric measurements of Earth’s Western Hemisphere, total lightning data, and space weather monitoring to provide critical atmospheric, hydrologic, oceanic, climatic, solar and space data. These measurements will lead to significant improvements in the detection and observations of meteorological phenomena that directly affect public safety, protection of property and our GOES fleet in the GOES-R era nation’s economic health and prosperity. An Atlas V rocket was all set 2 days ago to launch from Cape Canaveral, Florida, sending a NASA-built weather satellite into orbit. It’s the GOES-R probe, and it’s being touted as a game changer for weather forecasting. The spacecraft, which will also be operated by the National Oceanic and Atmospheric Administration, is supposed to provide incredible real-time images of developing storm systems, better than any satellite that has preceded it. GOES-R will keep an eye on Earth’s weather as it orbits 22,000 miles above. But how does your local weather forecaster know what GOES-R sees? Learn how GOES-R’s data is used for your local weather forecast in this animated video. To do this, GOES-R — which stands for Geostationary Operational Environmental Satellite-R — will scan Earth’s skies five times faster than the other GOES satellites currently in orbit, with four times the spatial resolution. “This means we’ll have better quality data at high resolution far more often than we do today,” Joe Pica, director of the Office of Observations at NOAA, said at a NASA press conference. Such information will allow NOAA scientists to see developing weather systems in unprecedented detail, which will improve our tracking of tornadoes, hurricanes, and wildfires. GOES-R even has a lightning mapper on board, meant to help forecasters know which storms are more severe than others. The information the satellite receives will help refine seasonal and weather predictions, improve warning times before storms, as well as help plan the best flight routes for airplanes. While GOES-R will tell us more about the climate of Earth, the satellite is also equipped to give us more information about what our Sun is up to as well. Specifically, the probe will be able to measure the intensity of solar flares, which are responsible for causing “space weather” around Earth. A flare is often accompanied by something called a coronal mass ejection (CME) — a huge burst of charged particles that shoots out from the Sun. These CMEs can clash with our planet’s magnetic field, causing geomagnetic storms that mess with our satellites, communications systems, and even our power grid. GOES-R will be able to tell scientists whether a potentially problematic geomagnetic storm is headed our way. In order to get all of this high quality weather information, GOES-R is headed to a geostationary orbit — a circular path about 22,000 miles above the Earth’s equator. This is a preferred orbit for many communication satellites, because spacecraft moving along this path follow the rotation of the planet. That way, they appear to be in the same spot in the sky at all times. Once it gets to geostationary orbit, GOES-R will be renamed GOES-16 and begin its science operations in about a year.